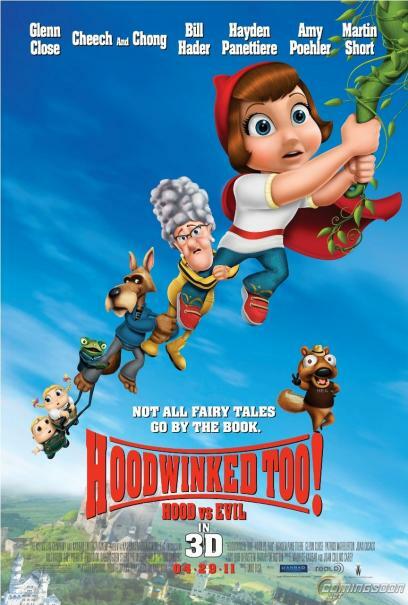 From the team that brought you "Hoodwinked," the comedic portrayal of the fairy tale Red Riding Hood, comes the all-new animated family comedy "Hoodwinked Too! Hood vs. Evil" in 3D. The sequel finds our heroine, Red (Hayden Panettiere), training with a mysterious covert group called the Sisters of the Hood. But Red is forced to cut her training short when she gets an urgent call from Nicky Flippers (David Ogden Stiers), who returns as head of the super-secret Happily Ever After Agency, aka the HEA. A wicked witch (Joan Cusack) has abducted two innocent children, Hansel (Bill Hader) and Gretel (Amy Poehler), and Nicky needs Red for the search-and-rescue mission. Of course, what is a sequel without guest stars from the original? 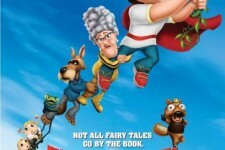 Thankfully, Granny (Glenn Close) and the rest of the "Hoodwinked" gang—including the ever-clueless Wolf (Patrick Warburton) and his over-caffeinated little partner, Twitchy (Cory Edwards), join Red to solve the forest's latest caper. Fracturing fairy tales and pop culture with good-natured glee, "Hoodwinked Too! Hood vs. Evil" in 3D takes viewers on a rollicking rollercoaster ride combining edge-of-the-seat adventure with classic, zany cartoon antics.